A storm blew in Monday night, just after people started their fireworks celebrations for Victoria Day. The temperature dropped and a cool breeze blew into the attic windows. It felt lovely . It is now Thursday, however, and it still feels like the storm is lingering in the air–muggy and full of hostile intent. So I am inclined to use the oppressive weather as some sort of excuse or explanation for my own feelings of fogginess and hostile intention. But that is unfair to the weather gods. Fact remains, though, that I feel unsettled and pessimistic. I want to do things in my professional life that will maximize the potential for good and my capacity for change, but WHICH of the things should I concentrate on? I also need to do those things which replenish and restore me as a person, a partner, and a mom. I want to feel the flow that happens when you’re content and I want my children to see happy, content grown-ups who are at peace with themselves and their place in the world. But I don’t feel it right now. I feel depleted. I feel half-empty, at least. Everywhere I look, I see half-assed commitment, half of a genuine interest, half of a morsel of motivation. I can’t even knit at night for more than 30 minutes without feeling bored, bored, bored like it is all useless and will never work out and why did I think I was good at this, anyway? And when I run with the dog I wonder why I’m slower now than I was two years ago and maybe if I REALLY committed to that weight lifting program I’d get super lean and fast and would be awesome at that. But maybe not, because I’m me and I’m old and slow. And I finished writing a book and it’s getting published. That is a good thing, though it took me too long, and I should start the next project but . . . why bother? I don’t have that career any more, so no one will miss it if I don’t write that other thing. And now, you see, I’m drowning in a wave of sappy, self-involved bad feelings that I don’t need, my family doesn’t need and you, frankly—why are you still reading this? You don’t need this, either. You would be oh-so-right to point out that I am a materially comfortable, educated, happily married middle-class woman with two healthy, bright children–two cars, a house, and a dog in the bargain I have zero problems. Zero. 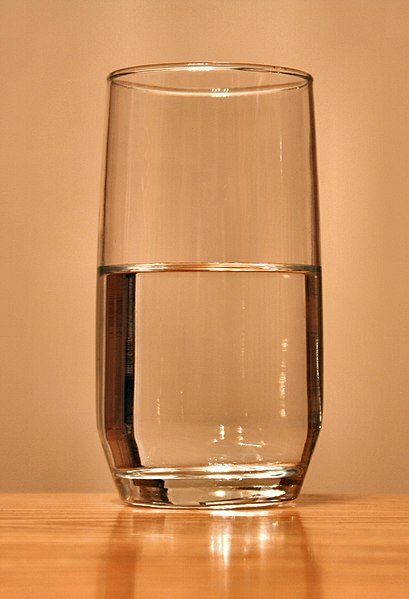 So I need to find the source, the well, will fill this glass of water again. And it can’t come from the outside. It isn’t God (sorry, folks) or the love of my husband or kids (though that’s great, of course). . . and it’s got to be around here somewhere. This all sounds oh, so familiar. I regret that I have no fast and easy answers for you. Only a bit of empathy – empathy that perhaps you need to find for yourself. If you stop judging yourself for being bored or unproductive or unmotivated or… I bet your glass will soon fill up again. Love your lovely self. Oh. And please keep writing. I take such pleasure in reading what you have to say. Thank you for the kind words, Monica. I know my situation is not unique and empathy and compassion is where it’s at. . . I don’t know if it’s something we’re injesting, exposing ourselves to, or some sort of realization, but you are not alone. I hope you find your spark.